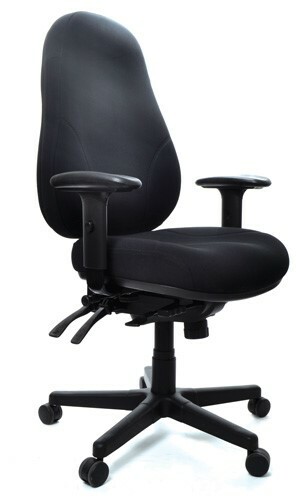 The Australian Made bExact Prime HighBack Chair is has a back designed to be adjusted to suit each individual user.. 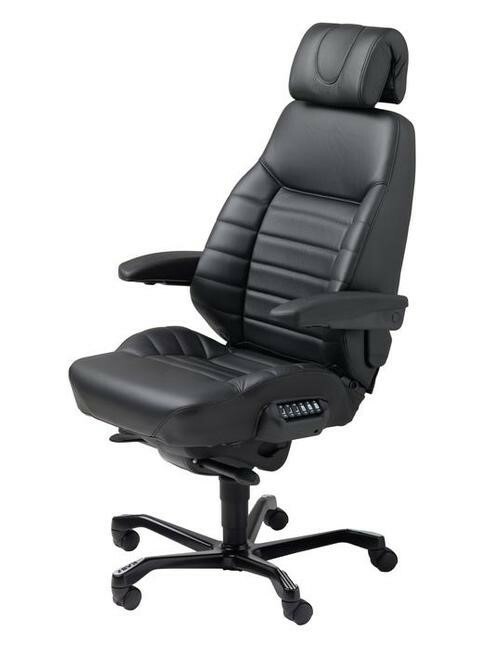 The High Back Prime is easy to adjust the back support in 2 places with the simple turn of a dial. Available in 3 Seat sizes of the G2 Gel seat. 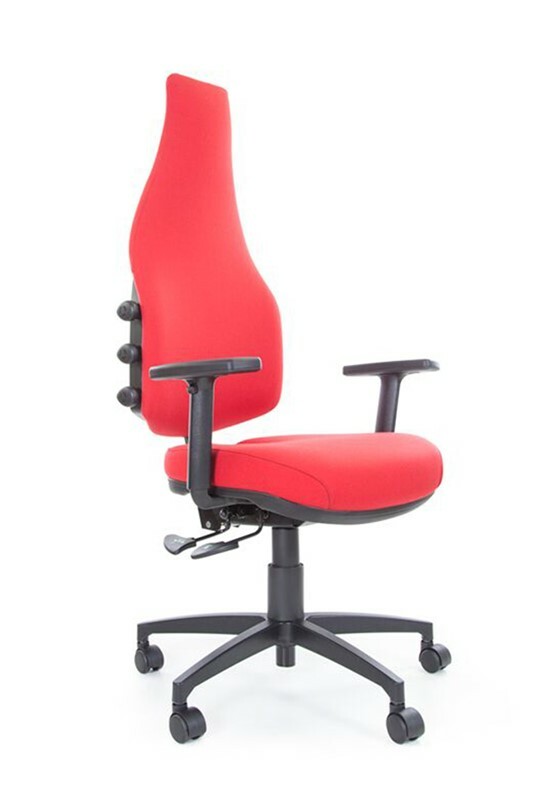 The most versatile chair on the market today. 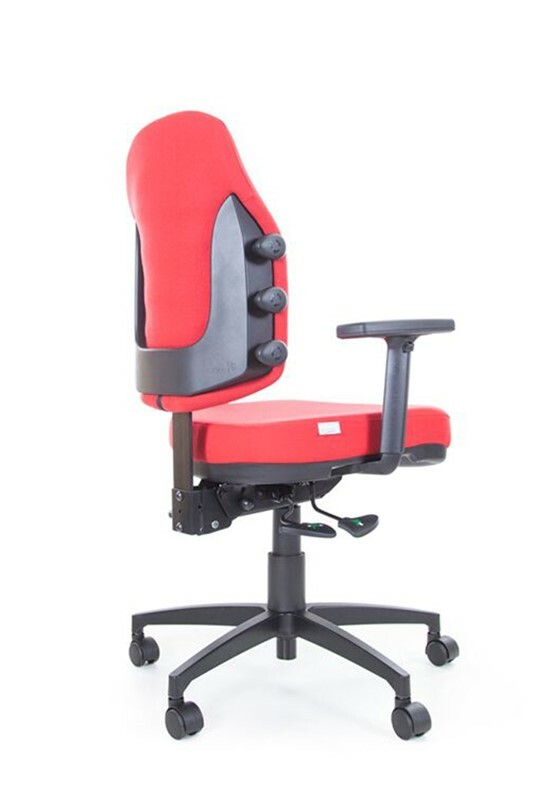 The Prime High Back features a unique and world-first adjustable posture support system which adjusts the back support to suit the user in 3 places. Easy to adjust with the simple turn of each of the 3 dials it is customizable for every individual need sor support and comfort. Available in 3 seat sizes of the G2 (gel/visco) seat, the bExact Prime High Back Chair comes standard with a seat slide to make it universally suitable for tall users. Seat Size: Small 480 mm wide x 440 mm deep.